THERE’S SOMETHING WONDERFULLY WHOLESOME ABOUT KNITTING and works with textiles. 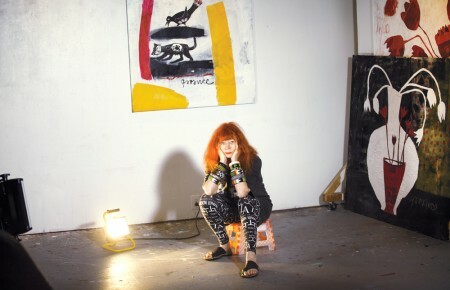 But Marcia Widenor takes the medium to much higher levels. She’s trying to create a sense of quiet as an antidote to the harshness in the world. 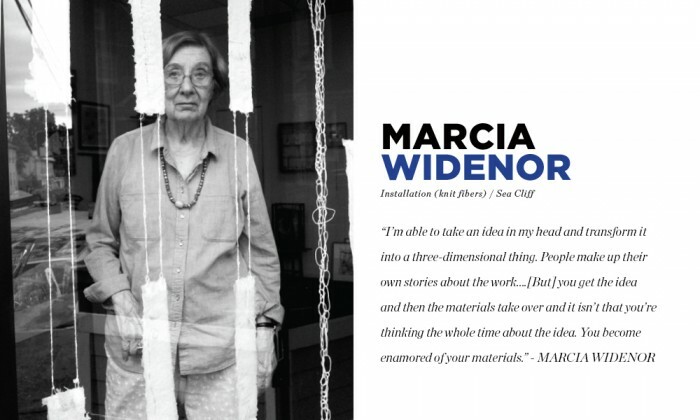 Widenor’s life as an artist began by studying with Don Stewart, a printmaker for Jasper Johns, to create ghost prints like her “Sails” series. The works are visually delicate, the colors are so wispy and light, they’re virtually floating on their planes. But to call them fragile would be a mistake. They are confident and own their place. The stylistic signature she developed with the prints carried forward with her as she advanced her techniques, particularly in tactile crafts. Widenor has taken courses in printmaking, carpentry, welding and papermaking to broaden the available medium from which she can make various “homes” or moments of reprieve. 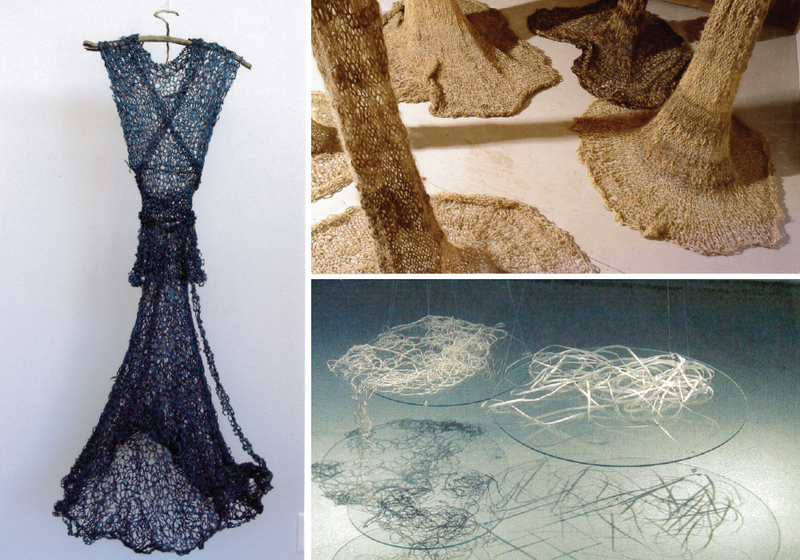 “After the Tsunami” was knit for an installation at the Tenri Cultural Institute in Manhattan and Widenor dyed it blue and gray to suit the somber mood. Trees are another constant for the artist. In 2000 her first “Ghost Elms” were installed at the Newhouse Center for Contemporary Art (Snug Harbor). They are gentle giants, more than 10-12’ tall, that make the viewer think about nature, space, perspective, a breath of life, everything. They’re fully realized despite being constructed of ethereal mesh, possibly typifying everything Widenor’s work stands for. It’s a quiet occupation for Widenor. She likes that. And just as her works are easily mobile they transcend various applications. Sometimes she’ll build a sanctuary for the viewer to step into for a brief respite. And sometimes, it’s just about stepping back and beholding the shapes in a moment of contemplation.